Everyone deserves a vacation, and sometimes the best destinations are just a short drive away. Take a break from everyday life and embark on your next adventure from Chicago to Door County! There’s nothing quite like packing up your bags and hitting the open road. 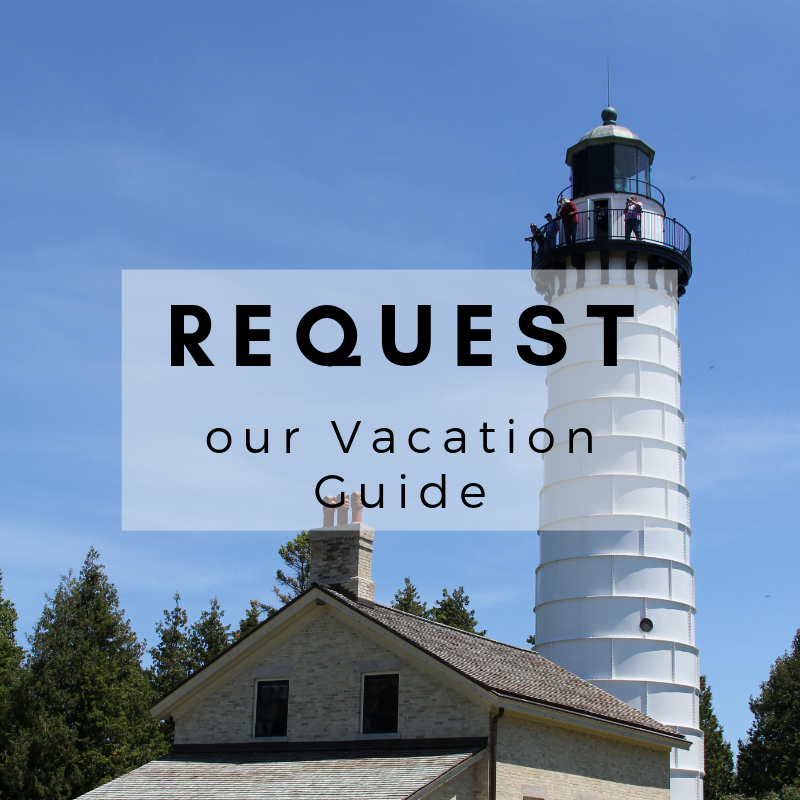 Read on to discover our perfect road trip itinerary, then, request your free Door County Vacation Guide! Inside, you’ll find local recommendations for the best restaurants, shops, and events. It’s all you need to plan a fantastic trip! If you’re from Chicago, Door County, Wisconsin, is only a four-hour drive away. This gorgeous peninsula features 300 miles of shoreline and over a dozen parks just waiting for you to explore. During your trip, you’ll fall in love with the area’s small-town charm. Take the ferry to Washington Island, visit the Maritime Museum, or take a historic lighthouse tour. The choice is yours! When you travel from Chicago to Door County, we recommend taking I-94 W to I-43 N for the fastest route. Near Green Bay, you’ll hop on WI-57 N to Sturgeon Bay. This 250-mile drive takes about four hours. We suggest stopping along the way to break up the journey, stretch your legs, and see some exciting cities on your trip. About an hour and a half into your journey, make your first stop in Milwaukee, WI. This bustling city is known for its craft breweries and stunning views of Lake Michigan. While you’re there, be sure to visit the Harley Davidson Museum to see one of Elvis Presley’s motorcycles first-hand. Continue for another two hours until you reach the city of Green Bay, located at the southern end of Green Bay. It’s worth a quick pit stop to wander through the Green Bay Botanical Garden or the Bay Beach Wildlife Sanctuary. Grab a bite to eat before embarking on the last leg of your drive! Whether you crave adventure or prefer a tranquil retreat to nature, Door County, WI, offers endless things to do. Watch a magnificent sunset at Peninsula State Park, indulge in a delicious waterfront meal, or stroll through an eclectic art gallery. For more ideas on how to fill your days in Door County, access our free Vacation Guide. You deserve an incredible place to stay after you’ve completed your Chicago to Door County road trip. Experience excellent customer service, top-notch accommodations, and premium amenities as a guest of The Ashbrooke. We’re happy to make your Door County vacation an unforgettable one. Consider Grande Whirlpool Suite for your next romantic getaway. This luxurious two-room suite features over 600 feet of private space for you and your significant other to enjoy. Relax on your king-size bed, snuggle up by the fireplace, or soak in the two-person whirlpool tub. It’s the ideal place to make your home away from home. What are you waiting for? Check our availability and book your room today!